No plan for Mosul: chaos and neglect slow Iraqi city`s recovery. Residents fear IS could exploit growing resentment. MOSUL—The demolition of a wrecked building in the northern Iraqi city of Mosul where Islamic State (IS) used to execute men they said were gay is already in its third month. Two years after the battle in which Iraqi forces recaptured Mosul from IS, the authorities do not own enough equipment to clear the rubble littered across the city. Hundreds of Mosul council`s vehicles were destroyed in fighting or used by IS as suicide bombs. Mosul was held by IS for three years. Under the militant group`s strict interpretation of Islamic law, homosexuality is a grave sin punishable by death. But rights activists say those executed in the seven-storey insurance building, now reduced to two floors, were often IS opponents who were falsely accused. The digger on top of the building is hired for $300 a day, a labourer at the site said. It often stands idle. There`s no strategic plan. It`s chaos, lawmaker Mohamed Nuri Abed Rabbo said. 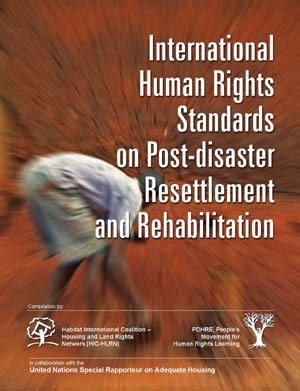 Poor planning allows mismanagement of reconstruction efforts and alleged corruption, making recovery slow and haphazard. In this environment, residents fear the remnants of IS will again exploit resentment. The city`s being rebuilt only on paper, said Abu Ali Neshwan, a 52-year-old shopkeeper. There`s no state here. Corruption`s everywhere. Abdelsattar al-Hibbu, who is in charge of the municipal government—and is still recognised by Baghdad as such, despite the governor`s attempts to remove him—said the little money allocated to Mosul was being misspent. With the amount spent so far on removing rubble, the city could have been completely cleared by now, he said by telephone. Of an estimated 7 million tonnes of debris, more than half remains, he said. 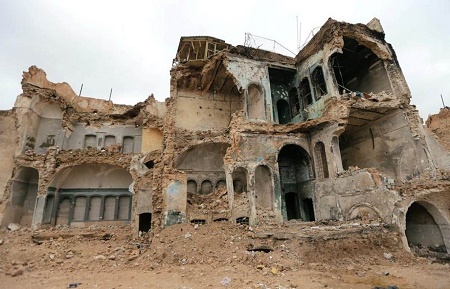 The 2019 state budget allocates $560 million for Mosul`s reconstruction, according to two Mosul lawmakers. A U.N. advisor in the city said one estimated cost for one year of rebuilding work was $1.8 billion. It`s mostly international organisations getting things done. It`s ridiculous that money has to come from outside, with Iraq`s oil wealth, the adviser said. Authorities overspend and work takes ages. It should take a few days at most to demolish a large building and cost a few thousand dollars, tops. Clearing rubble is not being done haphazardly ... but there are some neighbourhoods that are so destroyed that there`s no solution, he said. People shouldn`t be asking why (reconstruction) is slow. They should be asking why hurry it? The clearance work looks anything but organised. Grubby children, who outnumber workmen, load steel rods and window frames onto donkey-drawn carts to sell at scrapyards. We`ve borrowed everything--there`s no money from the government, and certainly no bank loans, he said. Bank transfers to Mosul, which was a Sunni Islamist stronghold even before IS arrived, are banned by authorities over fears over the financing of extremists. Ten people live here, but my daughter hasn`t come back yet. She`s renting in east Mosul for $100 a month that she can`t afford, Hassan said. Hassan`s family is among those returning to west Mosul, which suffered the worst damage from air strikes in its crowded Old City streets. Nearly 2 million Iraqis are still displaced by the fight against IS, according to a survey by REACH, a non-governmental organisation. Many say they are not ready to go home because of the destruction and lack of services. Residents worry that the longer it takes to fix Mosul, the easier it will be for groups such as IS to re-emerge and recruit. Conditions that helped IS take over Mosul and other cities in 2014, including corruption and the neglect of Sunni Muslim communities by a Shi`ite-dominated government, remain. They`ll be the next generation of IS—it thrives on corruption and chaos, he said. Photo : A destroyed house is seen in the Old City of Mosul, Iraq, 29 January 2019. Source: Ari Jalal/Reuters.